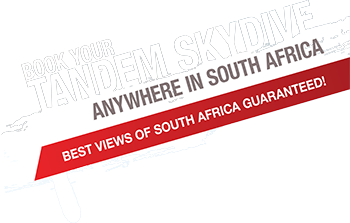 Welcome to Skydive Africa – home of the ultimate adventure experience! Owned and operated by Rob Smallie and Blake Mac Millan. With over 10,000 skydives and 22 years in the sport between us, we would like handle your skydiving experience! We can book your tandem almost anywhere in South Africa. Look through our selection of registered drop zones and choose where you would like to jump – let us handle your booking and payment. As simple as that. We only work with suppliers that share our ethos – to create amazing memories and service the clients as best we can! Have a look at the various hand selected activities, from bungy jumping to fishing and horse-riding and let us know which ones you wish to add to your itinerary. We work closely with a small, select group of accommodation suppliers in the various cities across South Africa and offer you great value and awesome accommodation no matter where you are. Browse through the various options and let us know if we can assist further. Getting from one awesome adventure to the next can be a challenge and that is why we work closely with the largest transport and car rental companies to offer you great rates!